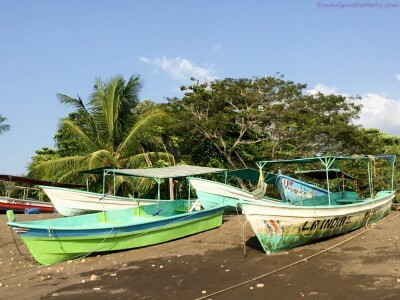 You are here: Home / From My Adventures / Costa Rica – Crocs and Ceviche! After year’s of being invited to stay with my childhood friend Deborah and her husband in Costa Rica, I travelled there at the end of January for a 10 day vacation. I won’t go into why M wasn’t with me on this trip, just suffice to say make sure your passport hasn’t expired before you leave on vacation. After an hour getting through customs and immigration, we finally left the airport in San Jose just after 2 p.m. and drove for about an hour until it was time to stop for a cold drink and visit the “locals” that live along Rio Tarcoles. This is a great tourist stop as everyone want to see the crocs and the Ticos (that’s what they call the local Costa Rican humans) have set up shops nearby selling fruit smoothie and souvenirs. 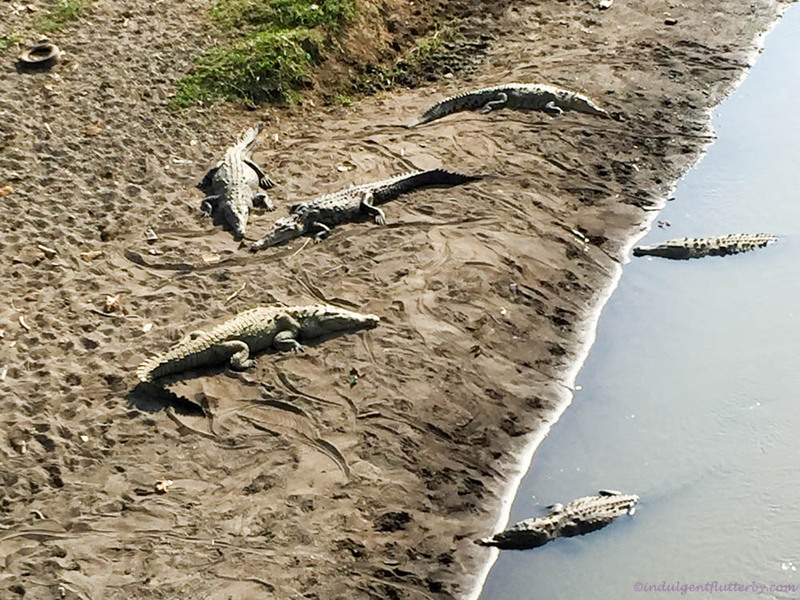 It is believed the crocs are being fed at night to keep the tourist stopping along the highway and the crocs don’t seem to mind hanging out in the sweltering sun knowing they will be fed. It is a bit of a traffic nightmare as everyone hangs over the bridge railing (including myself) taking photos and the bridge doesn’t have a sidewalk. Being my first trip to Costa Rica it was worth the stop. 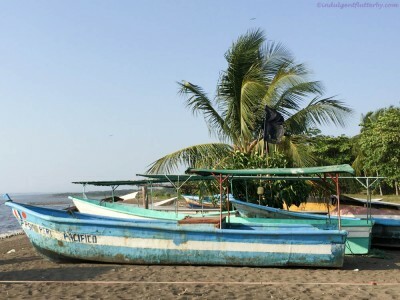 After risking our lives along the busy highway and walking the narrow bridge to get our photos we enjoyed a frosty fruit smoothies and then drove into the village of Playa Tarcoles for fresh ceviche. We stopped at a small bar called “Helen’s” situated at the front of her house along main street. Helen has reputation of making the best ceviche in the area and we weren’t disappointed. 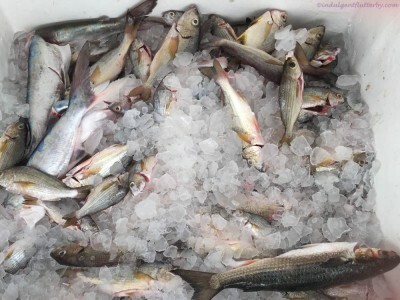 After we placed our order, Helen brought out a bucket of homemade ceviche which she made from locally caught marlin. 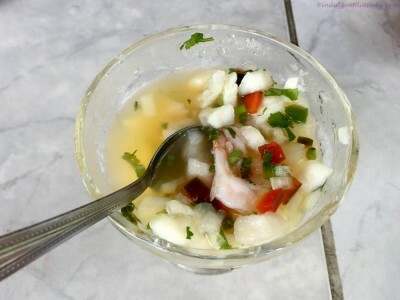 If you are not familiar with ceviche it is typically made from fresh raw fish cured in citrus juices, such as lemon or lime, and spiced with chili peppers, chopped onions, salt, and cilantro. Helen’s ceviche was incredibly delicious and went down well with a cold beer! Cheers! 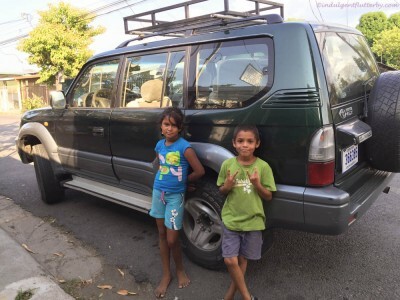 Once the local children found out we were foreigners they waited by our vehicle hoping to be given coins if we took their photograph. They were so darn cute how could we resist ! 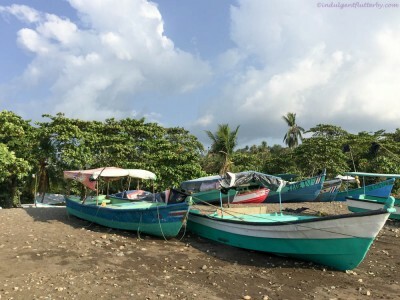 Then we drove to the other side of town where the local fisherman launch and store their boats along beach of the Pacific Ocean. This is where Deborah (an artist) likes to take photos of the fishing boats for future paintings, so I decide to snap a few of my own. There is no fancy marina here! 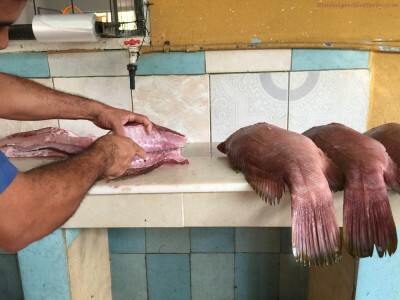 Before leaving Playa Tarcoles we stop for some fresh fish for dinner. 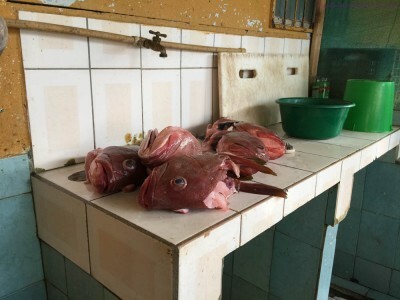 This fish monger works in a little shop at the back of his house only know by the locals. 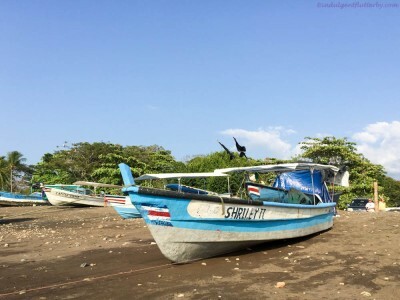 What an introduction to Costa Rica and this is all on my way to Playa de Jaco!